Home > Healthy News > What’s powering our kids? 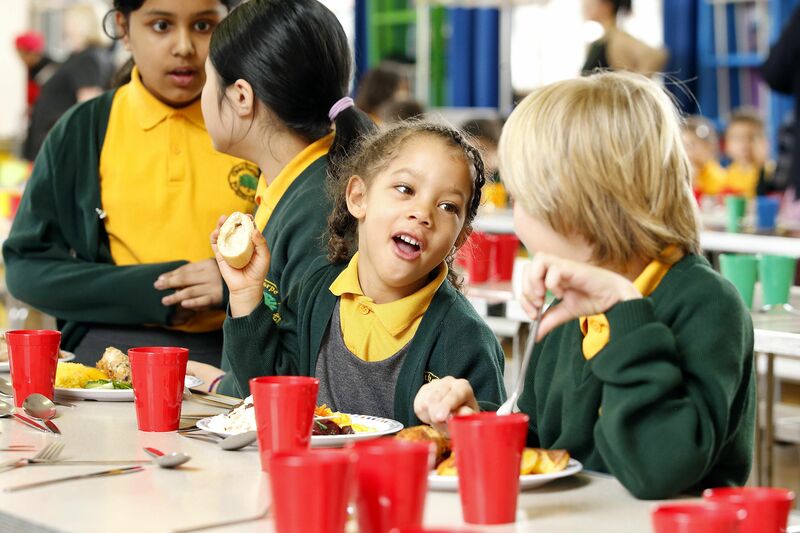 Enfield Catering Services (ECS) provides meals to 55 Primary schools, 3 Secondary sites and 6 special schools in Enfield, around 20,000 meals per day or 3.5 million meals per year. We are proud holders of the Silver “Food for Life Served Here” award from The Soil Association. This award guarantees that our food is seasonal and freshly prepared on site by trained catering staff. Our ingredients are free from undesirable additives and trans-fats and are ethically-sourced. Our menus ensure that children can have a portion of fruit and vegetables daily, as well as access to an unlimited salad bar. Our Menu Development Chef continually strives to find new improved and attractive menu items that pupils will enjoy and stimulate new interest. We work hard to strive for a balance between traditional favourites and new and exciting dishes, and also explore new methods of presenting our food to make it easy for even the youngest pupils to select and enjoy. Our goal is to make healthy eating easy and interesting! We use fresh (i.e. not frozen) meat from a wholesale butcher, and is all classified under a farm-assurance scheme. All our fish is certified by the Marine Stewardship Council (MSC), i.e. comes from sustainable sources and does not contribute to over fishing. We regularly hold theme days and a recent example is our “Healthy Eating” week, where pupils tried different fruits and vegetables and some tasty smoothies at lunchtime. We also host regular parent and pupil tasting events after school so everyone can see and taste what new dishes there are on the menu. Research has shown that a good school meal can help pupils concentrate in their lessons and thus enhance learning. All our menus meet the Government’s school food standards and are analysed by our dedicated Nutritionist and furthermore we can cater for medically-confirmed special diets and carbohydrate values are provided for diabetic pupils. Allergen information is provided for all our dishes and can be viewed on our website.